The new year is here, and your competitors are back with reformed, revolutionised shopper marketing and activation strategies for 2019! Now’s the time to deliver unforgettable category management execution and exciting shopper marketing to ensure your Q1 kicks off with a bang. 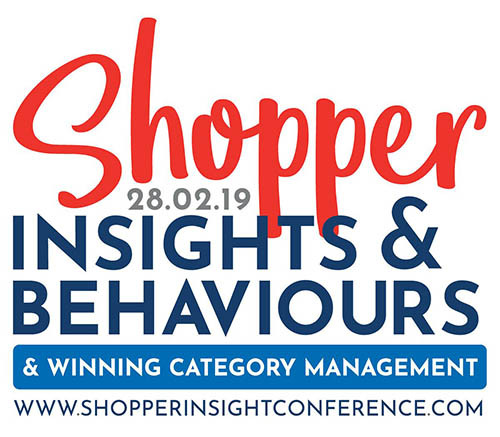 In one day, M&S, Sainsbury’s, Coca-Cola, Birds Eye, Co-operative and Diageo join a stellar line-up of 22 shopper and category front-runners who will reveal shopper-centric strategies to monetise insights into behaviours, missions and trends in convenience, online and in-store; build win-win retailer relationships and stand out in a competitive market at Europe’s leading Shopper Insights & Behaviours & Winning Category Management Conference on 28th February in London.